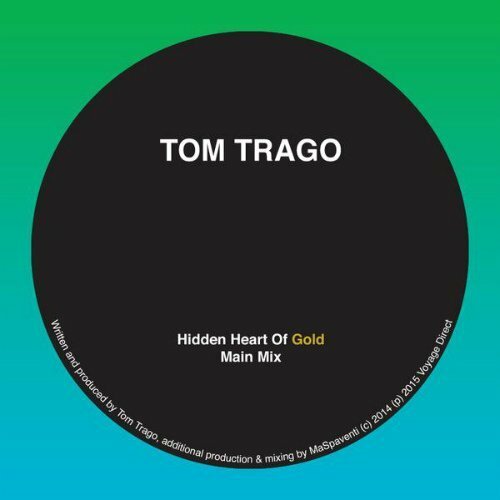 Earlier this week, Dutch producer & DJ Tom Trago shared a mix titled "Hidden Heart of Gold" from the SoundCloud page of his record label Voyage Direct. The single is officially due out March 9, 2015 and will feature an ambient mix of the same track. In the beginning of the track, the whirling synth pads and gentle thumps sooth and massage the brain. As it builds, a deeper and darker ambience takes over and gives the mix a fiercer presence. Once the turbulence levels off, Trago leaves us in an emotional trance with soft, rhythmic electronic melodies that slowly fade out to the end. It's not groundbreaking, but worth a listen. Good music for traveling at night. Hidden Heart of Gold is available on Amazon (MP3).